The last ten years or so have seen a huge expansion in the hobby industry. The model kit has really come into its own. Today, the model builder is so spoilt for choice - you can have almost anything, in any scale, and the quality is largely excellent. 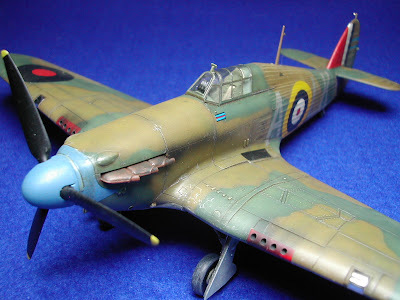 So, what does this have to do with a 1/48 Hurricane from Hasegawa? Well, WWII kits are one of the areas that has expanded so broadly in the last decade. Aircraft kits from this period proliferate. 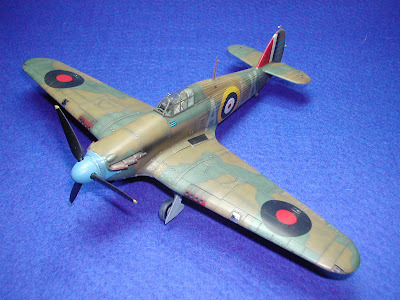 The Battle of Britain is apparently more popular than ever, seventy years later, and the Hurricane and Spitfire are the two main fighter types. And yet the younger generation seem not to even have heard of these seminal 'planes, never mind be able to recognise them. It's disappointing that a most pivotal point in British history is becoming a hazy memory. So, who is buying all these WWII kits? 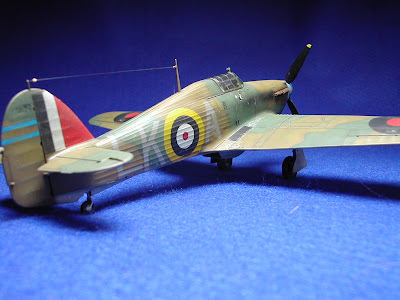 Anyway, here are some photos of a recently completed model along these lines. An honest, enjoyable build.